So many people have genres of books that they avoid, whether because they've read that type of books and didn't enjoy it, or they assume that they're not for them. There's usually an exception to most rules: if you hate pop music there's usually at least one catchy song you can't help but love. If you have a genre of books that you don't think are for you, you might want to give these picks a chance all the same. Paranormal Romance With the popularity of Twilight, a lot of people are sick of books following humans in love with vampires, werewolves, angels and the like. Even if you feel that way, Daughter of Smoke and Bone by Laini Taylor has excellent world building and great writing. Karou is an art student at Prague who lives two very different lives. While her friends admire her fantastical drawings, they don't know that the monsters featured in her sketchbook are real. In a world full of monsters and angels, Karou will have to delve deep into the past if she wants to find out who she truly is. You can read the full review here. 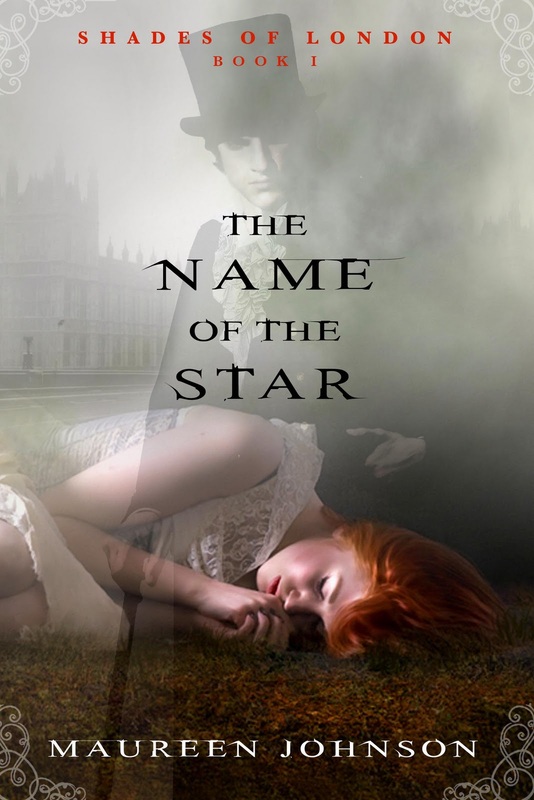 Supernatural The Name of the Star by Maureen Johnson follows a mimic of the Jack the Ripper killings in modern East End London, with a supernatural twist. While Maureen Johnson is best known for books like 13 Little Blue Envelopes, this supernatural YA novel took me by surprise. When Rory Deveaux leaves her small town in Louisiana for a boarding school in London’s East End, she expects a bit of homesickness and some culture shock. Never would she have imagined that her arrival in England would coincide with the first of a series of murders mimicking Jack the Ripper. Or that she would find herself in the middle of the mystery. You can read my review here. Fantasy The Harry Potter books are the obvious recommendation, and were actually my first introduction to fantasy. 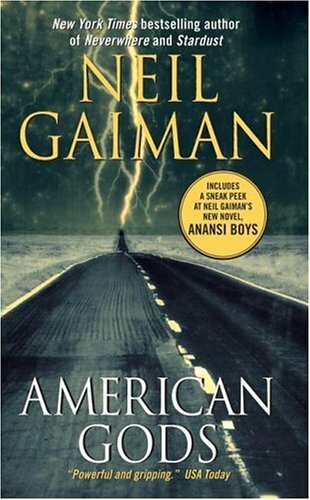 Neil Gaiman's books are fantastic, whether you're reading his urban fantasies like American Gods and Neverwhere or his more traditional fantasy like Stardust. His junior fiction is also amazing, especially The Graveyard Book for younger readers. The Book of Lost Things by John Connolly is a sort of fairy tale retelling in which young boy from WWII London finds himself in a world reminiscent of the fairy tales we all know. A Game of Thrones by George R.R. Martin is a political fantasy about the fight for the throne. I'd also recommend The Night Circus by Erin Morgenstern, which is about a magical circus which is the playing field for a competition between Celia and Marco, who have been raised to compete against each other nearly their whole lives. However, even they don't understand the real nature of the competition. Science Fiction It's not all aliens and robots, but even when it is it can still be entertaining for those who usually avoid the genre. 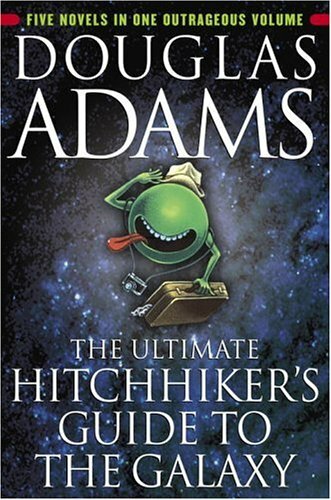 The Hitchhiker's Guide to the Galaxy by Douglas Adams is my go to book when ever the end of the world is predicted, which is happening more often lately. Arthur Dent is your typical Englishman, but his life takes a turn towards adventure when the world is about to come to and end and he learns his best friend is an alien. Great read for fans of comedy. A Wrinkle In Time by Madeleine L'Engle is junior fiction science fiction, with plenty of literary references. Meg's father is missing and she will do anything to find him. With her younger brother Charles Wallace and schoolmate Calvin, Meg travels through a wrinkle in time to rescue her father. This book is celebrating its 50th anniversary this year, and aside from a reference to a type writer it doesn't feel dated at all. Ender's Game by Orson Scott Card is also a popular choice, which I read in book club maybe four years ago. Another Science Fiction loved by all is Ursula Le Guin, and while I haven't yet read any of her books I've heard some very good things. Romance Even if you've never cared for Nicholas Sparks novels or movies like Titanic, there still might be one or two romance novels that make the romantic inside of you swoon. Anna and the French Kiss by Stephanie Perkins is about a girl who spends her last year of high school at a boarding school in Paris. There, Anna meets Etienne St.Clair, and sparks fly in the City of Lights. Anna and St.Clair have excellent chemistry and you'll soon find yourself rooting for them. You can read my review here. For adults, The Time Traveler's Wife by Audrey Niffenegger is excellent. The relationship is unique and convincing, with time travel thrown into the plot to make it interesting. On the complete other end of the spectrum, I would really recommend giving Pride and Prejudice by Jane Austen a chance. Everyone know this story; girls meets boy and he makes a horrible first impression. She finds out how blind she was and they fall in love. Of course, there's a lot of stuff in-between: awkward proposals, broken hearted sisters, crazy mothers, attractive navy officers. Featuring one of my favourite characters (Elizabeth Bennet,) Austen's wit shines in this book, and while the plot doesn't sound overly appealing and exciting, Pride and Prejudice had surprised many a skeptic and even converted them into Jane Austen readers. Young Adult YA actually refers to the suggested age group the book is for, and is not really a genre. However, a lot of people look down on YA books and don't believe they have as much literary merit. Obviously since I read a lot of YA, I don't believe that. This small selection of great YA books will hopefully convince you to give other YA novels a chance. 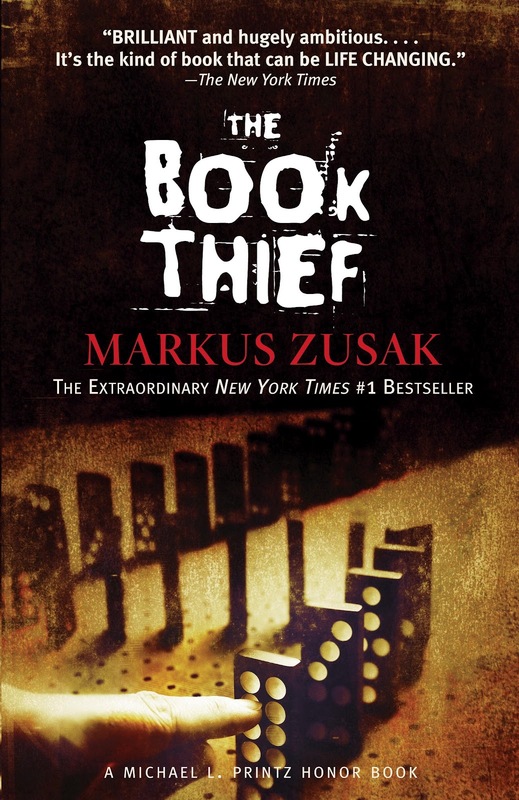 The Book Thief by Markus Zusak follows a young girl who lives in Germany during World War II. Narrated by death, this girl finds hope in the words she reads from stolen books. 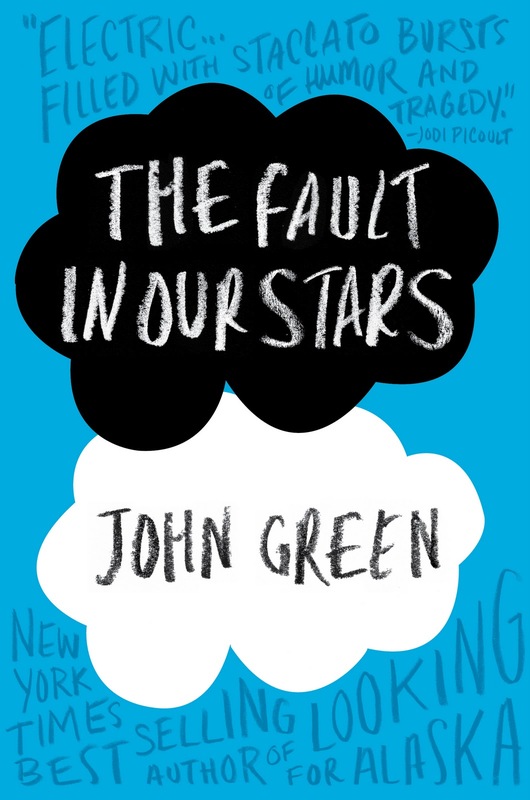 You will sometimes find this book in the adult fiction section, but it was written for teens. You can read the full review here. While all of John Green's books could fit in this list, The Fault In Our Stars is my favourite. Hazel Lancaster is a sixteen year old cancer patient. While a miracle drug has bought her time, she lives knowing that the cancer will eventually kill her. When Hazel meets Augustus Waters at support group, she knows she could care about him if she let herself, but she fears getting close to anyone, knowing she could die any time. When Hazel and Augustus bond over her favourite book, they decide to visit the writer in Amsterdam to learn what really happened to the characters after the last page. You can read the full review here. 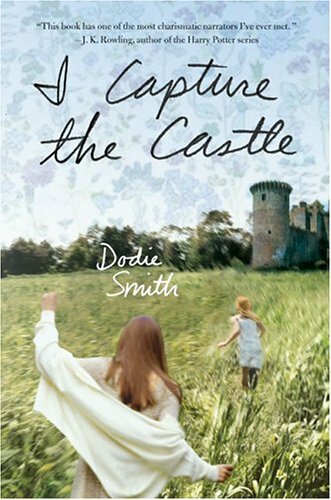 If you're normally into classics, I Capture the Castle by Dodie Smith might be a good fit for you. I had my mom read it and she's usually strictly a Charles Dickens, Jane Austen kind of girl, but she enjoyed it. In 1930's England, two sisters live in an old castle in the country side with their writer father, eccentric step mother and younger brother. In her journals, the younger sister, Cassandra Mortmain, attempts to capture the castle and the people who live there. When young Americans move into their village, things become much more exciting for Cassandra, who conspires with her sister Rose to make sure one of the brothers falls in love with Rose. But things become rather more complicated when Cassandra's own feelings get in the way. Junior Fiction Again, not exactly a genre, but many people, teens and up, think they're too old for books aimed for the younger set. While Harry Potter is an obvious example of a book people of any age can enjoy, there's many others. This might be because I read it in University, but I honestly don't think I would have got as much out of The Golden Compass by Philip Pullman if I had read it when I fit into the suggested age group. Pullman challenges popular conceptions of Adam and Eve and the Fall, and believes that it was actually a good thing. He believes that it brought knowledge and that a sexual awakening isn't a bad thing. 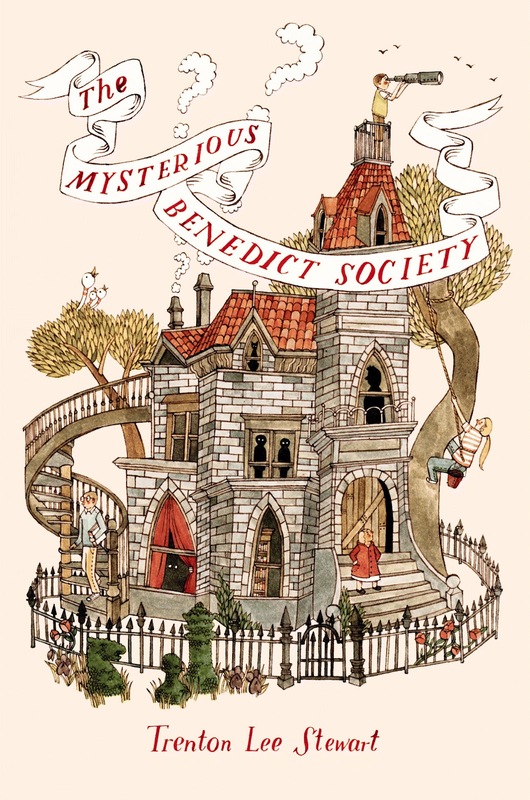 The Mysterious Benedict Society by Trenton Lee Stewart is perfect for lovers of puzzles and riddles. It's a really clever book that doesn't underestimate its readers. You can read my review here. Lemony Snicket's A Series of Unfortunate Events is full of dark humour and literary references. The Incorrigible Children of Ashton Place by Maryrose Wood utilizes a similar style as Snicket, while still being a unique book about a three children who were raised by wolves and their governess who has to turn them into model pupils. The classics are classics for a reason, and all always always worth checking out no matter how old you are. Some great classics include Peter Pan, Alice's Adventures in Wonderland, The Secret Garden, The Little Prince and Anne of Green Gables. What a wonderful post! I've read almost all the books you listed and they are such great starter spots for the different genres. I've grown to love Gaiman and The Book Thief, Ender's Game, I Capture the Castle and The Fault in the Stars are some of my favorite books! What a lovely list! This is the reader Alice who recommended you Howl's Moving Castle via email (how did you like that by the way?) I haven't gotten round to creating my own blog (self confessed technophobe) but I still check this one whenever I have the chance. I am signing this comment with my LiveJournal account. This list is a brilliant idea. Science Fiction is my favourite genre and you recommended some of my favourite books. (A Wrinkle In Time is probably one of my all time favourites, as is the Hitchhiker's Guide to the Galaxy.) I admit to being prejudiced towards paranormal romance. I view it as being a little samey and 'chick-lit', an opinion I got from reading Twilight (a book I disliked for numerous reasons, none of which I'll go into here.) However the book you recommended genuinely looks interesting and original. I might take it out of the library if they stock it. Lastly, this is slightly unrelated to the post, but have you ever read anything by Jodi Picoult? I've heard a lot about her but I am unsure if I would want to read anything by her. If you have read anything by her, what would you recommended? What great recommendations! I've read quite a few of the books listed. I feel like I would read most genres but there are some I shy away from. I might have to give them a chance and try some of the books you suggested. He encontrado tu blog de casualidad por otro blog, concretamente este: http://librosfera.blogspot.com.es/ No soy muy buena en lo que a inglés se refiere, pero seguir tu blog me vendrá bien para practicar un poco. I found your blog by accident by another blog, specifically this: http://librosfera.blogspot.com.es/ I'm not very good as far as English is concerned, but I will follow your blog for practice a little. Another brilliant post! 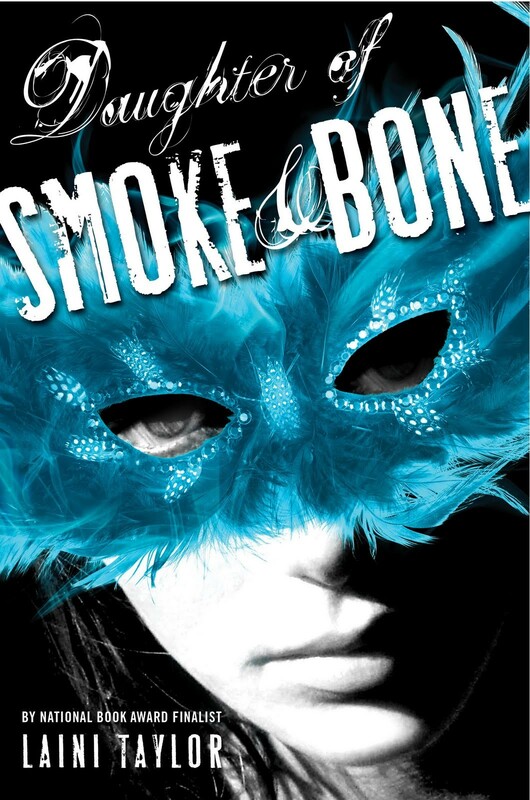 I *always* recommend Daughter of Smoke and Bone to both fantasy and non-fantasy fans.